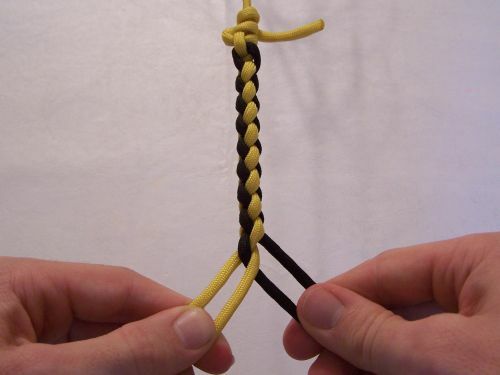 This is the simplest round braid, and is very commonly used for slings and many other applications all around the world. A couple of two-color patterns are shown at the bottom of the page. To start the braid, hold two strands in each hand. 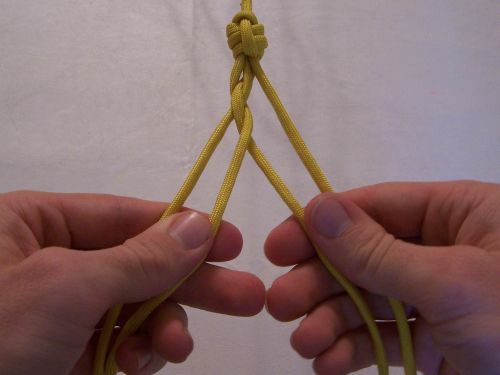 Take the outside right-hand strand and pass it behind the other right-hand strand and the inside left-hand strand. 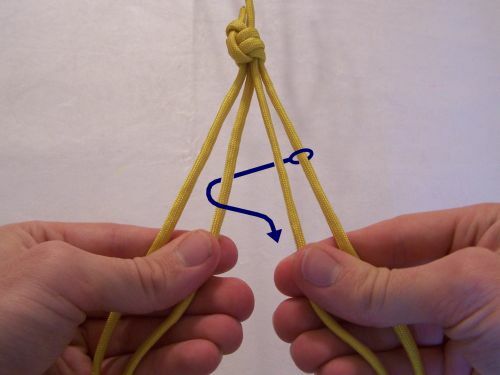 Bring it up between the two left-hand strands, and back to the right hand, keeping it to the inside of the other right-hand strand, as shown by the blue arrow. The second step is a mirror of the first step. Take the outside left-hand strand and pass it behind the other left-hand strand and the inside right-hand strand. 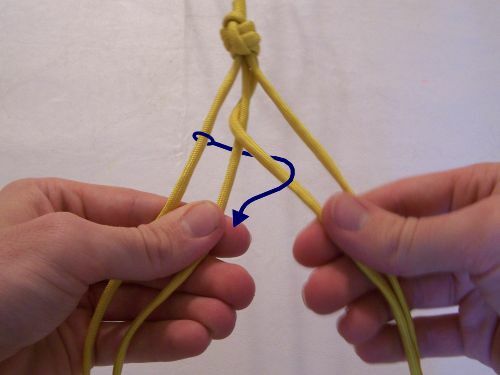 Bring it up through the middle of the right-hand strands and back into the left hand, to the inside of the other left-hand strand, as shown by the blue arrow. Here you can see both steps completed. 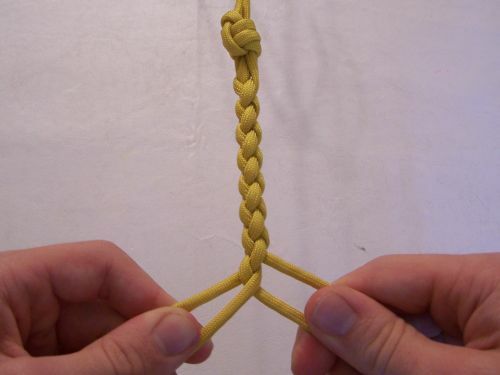 These two steps are repeated for the length of the braid. Here you can see what the braid looks like after several passes are completed. There are some nice color patterns that can be made with this braid which do not make the braid any more difficult to make. Two such patterns are illustrated below. 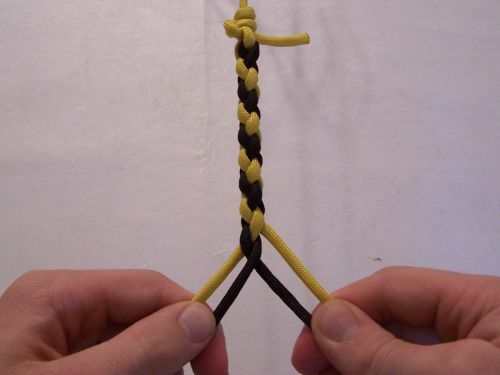 All that matters for the patterns is the way the different colored strands are arranged at the beginning of the braid, and the two steps of the braid shown above are used for all patterns. To make a pattern, arrange the colors at the beginning the way they are shown at the end of the braids in the pictures. By beginning with one dark and one light strand in each hand the braid will have a spiral pattern. By beginning with all the light strands in one hand and all the dark strands in the other, the braid will be a sided pattern with linear stripes.